About a month and a half ago I did a feature on building movesets for two Pokemon – Garchomp and Dusknoir, by the request of one of my writers. 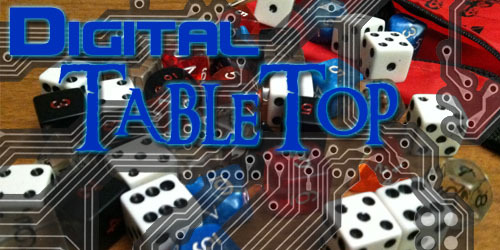 It seemed like a fun idea and little did I know that this one-off would become one of our twenty most read articles of all time. I guess people want to read Pokemon articles actually written by people who pull Pokemon paychecks. By popular request, I’ll now be doing a “Mastering the Moveset” feature once a month, or until requests dry up. As you know, Ninetales doesn’t learn any moves when it evolves so I was wondering how to raise my Vulpix. Evolve right away and use TMs? And for Sandslash, just a moveset thank you. I’ve actually had both a Sandlash and a Ninetails on main teams before. I used a Ninetails in Pokemon Blue and a Sandslash in Pokemon Silver. That was quite some time ago, but both Pokemon are still quite viable here the era of Diamond, Pearl, and Platinum. When to evolve Ninetails from Vulpix is a matter of taste. The smartest time to do is after you’ve learned all the moves you want and then evolve it. The latest you should evolve Vulpix is Level 47 when it learns Fire Blast. However, due to the low accuracy of Fire Blast, I never use it. I prefer moves with accuracy over power as I don’t want to waste a turn in battle. As such I would give you two choices as when to level Vulpix up. If you want your Ninetails early, do it at Level 24 after it learns Flamethrower. Otherwise, wait until Level 44 so you can learn both Safeguard and the Psychic attack Extrasensory. First we’re going to look at a TM-less Ninetails. The two moves you are going to want for sure are Flamethrower and Confuse Ray. Flamethrower is the best overall Fire attack in terms of balancing accuracy and damage. With a 95 base attack and a 100% accuracy, it’s the move you’re going to get the most use out of. Confuse Ray is a great defensive tool. It has a 100% accuracy and then your opponent will have to waste a turn using an item or risk a 50% chance of damaging itself. With Ninetails’ amazing speed, you can always land this right away in the first round, causing your opponent to hopefully waste their first attack. 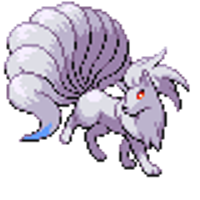 Your third move should be Extrasensory as it gives your Ninetails a second powerful attack. Extrasensory’s secondary ability of causing your opponent to flinch is a nice extra. Your fourth move should be one of two choices. The first is Payback – a Dark type attack that does double damage if Ninetails hits second. This gives you a third Type in your arsenal and it’s good as a reserve move if you’re facing a Pokemon faster than Ninetails. Payback does use Ninetail’s Attack which is weaker than its Special Attack, so this will be your weakest attack. The second choice is Safeguard, which removes all status effects from Ninetails. It just depends on if you want to go offensive or defensive. Personally I’d rather have the third attack. Now let’s look at TM’s. I would get rid of Payback first and replace it with Dark Pulse. Dark Pulse does more damage, and it uses Special Attack so it will be more powerful in the hands of Ninetails ,and best of all, it also may cause a flinch. 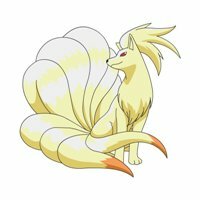 This means Ninetails now has two flinch moves, a move that always causes confuse and a move that may causes a burn. This makes your Ninetails a definite irritant for your opponent. With the Move Tutor or Egg Moves, Zen Headbutt may look tempting, but it is a physical attack and thus it’s not worth it over Extrasensory. Ominous Wind, a Ghost Move which the Move Tutor can teach isn’t a bad choice, but it does less damage than any of the moves listed above and it lacks the negative status aspect. Egg Moves Faint Attack and Energy Ball are also fun choices, but trying to breed a Vulpix that knows these from birth may be more trouble than it is worth. Sandslash is a pretty straight forward Pokemon. It’s one of the fastest Ground type Pokemon and it has solid stats across the board save for Special Attack. It’s very much an offensive Pokemon that hits hard and hits fast. The only problem is that many of its best moves take a bit to warm up. It’s also a Ground Pokemon that doesn’t learn any powerful Ground Type attacks. As such, we have to make a TM-less Sandslash pretty sneaky. For a Sneaky Sandslash, you’re going to want to take the following three moves: Sand Tomb, Sand Attack, and Sandstorm. Sand Tomb and Sand Attack don’t do a lot of damage but they do continual damage which a TM-less Sandslash will need to survive. Sand Attack destroys your opponent’s accuracy making it harder to hit Sandlash while these other moves wear down your opponent’s health. First round attack should be Sandstorm to get that started, the second should be Sand Tomb and then you should do Sand Attacks until the Sandstorm or Sand Tomb wears off, then use that move again. Repeat until opponent is dead. Best of all, Sand Tomb traps the opponent from escaping and Sandstorm hits even if your opponent does switch. Just remember you’re going to need a lot of healing items for this Sandslash, and equip it with leftovers. As well, if you encounter a Pokemon immune to Sandstorm due to its Type, you’re going to need that fourth attack to be something else. Fury Cutter is too weak at first to be of use to a Sneaky Sandslash, and Crush Claw’s defense lowering aspects are useless with the rest of the moveset. I would suggest Slash for its critical hit ability or Rollout for its continual growth in power until it misses. 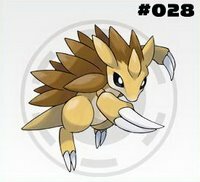 If you’re not the patient type and don’t want to wait for Sandslash to slowly kill your opponent, take the following moves: Rollout, Fury Cutter, Slash and Crush Claw. Always start with Crush Claw due to its whopping 50% chance of lowering defense and then if it works, follow up with a Slash. Rollout and Fury Cutter are move Pokemon weak to Bug and Rock Type attacks or if the Pokemon is strong against Normal attacks. It IS odd to have a Pokemon without any attacks from its type, but that’s the problem with a TM-less Sandslash. You can’t affectively learn STAB. With TM’s everything changes. Let’s first get Sandslash a good Ground attack. Well, there is only one he can learn, so you’re stuck with Earthquake. Thank goodness it’s a powerful attack. Focus Punch is tempting, but if your opponent strikes first, your move fails, so ignore it and choose Brick Break instead. 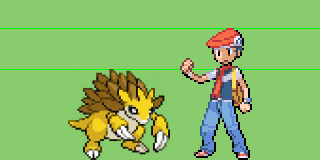 Now you have a Ground and a Fighting type move, making Sandslash strong against eight different Pokemon Types. In fact the only thing you’re not doing Normal or Super Effective damage to are Bug Pokemon, so let’s rectify that right now. Aerial Ace is a Flying type move that never misses. Now you have that Bug issue cleared up and you are super-effective against 11 types of Pokemon. Only Ground, Dragon, Ghost, Psychic, Water and Flying Pokemon are left. An Ice type move would take care of three of those but Sandslash can’t learn Ice Type moves. I would take Shadow Claw as my fourth and final move, making you Super Effective against Psychic and Ghost Pokemon, leaving only Dragon, Ground, Water and Flying Pokemon that aren’t taking double damage. Sadly no matter what kind of moveset you come up with via TM’s, Sandslash will never be super effective against Water, Dragon or Ground Pokemon. You could learn a Rock move to be Super Effective against Flying types, but you’d have to give up something else and it’s not worth it, especially since all Flying Pokemon are Dual-Type, and you’ve almost certainly got that secondary type covered. None of the Move Tutor choices are worth learning compared to what you have for your movesets above. Same too with Egg moves. 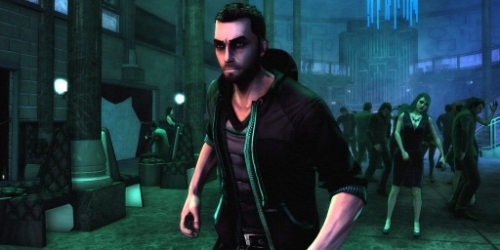 Night Slash is probably your best choice, but again, it’s hard to think of a move worth taking out for it. So there you go! Now you’ve got movesets for Sandslash and Ninetails. Hopefully with these sets, you’ll be able to field these Pokemon against your friends and walk away the victor. I still have requests for four other Pokemon, but if there is a Pokemon you’ve always wanted to play, but you’ve never been able to get the moveset write, feel free to ask away and I’ll see what I can come up with. The waiting list has already started with Roserade, Espeon, Electrivire and Hypno. Let me know who else you want to see go through this process. There’s no one solid moveset for Arceus that you can do. You have to factor the plate you want to use, if any and go from there. i like so much ninetails!! !is my favorite pokemon except mightyena and poochyena!! Make a sequel because if it’s not broken don’t fix instead build on what made the first two a smash hit back in the 16 bit era. Mike, did you mean this for the Streets of Rage article? Here is the moveset that I use for arceus: judgment, thunderbolt, ice beam, and earth power. I don’t hav an earthquake tm, so I used earth power instead.I don’t use just 1 plate- I use any of them when I need to. That way, Judgment’ s type will be the ne that I need scince its type matches the plate. I have all 16 plates, if you ask. wow! Thanks sooo much this really helped out my sandslash. I think that I would like help with Poliwrath. I like some off it’s attacks. But because of it’s lower special attacks a lot off water attacks do not do as much damage. could you help?? ?